Remember that little dip party I hosted last week? Well, it’s haunting me, I can’t stop thinking about the dips, particularly a few of the dessert dips that were on the menu. Emily from Simply Gourmet in Southie made adult dunkaroos. Be still my funfetti loving heart, a dip made from funfetti cake mix?! Yea it was as good as you’re imagining. 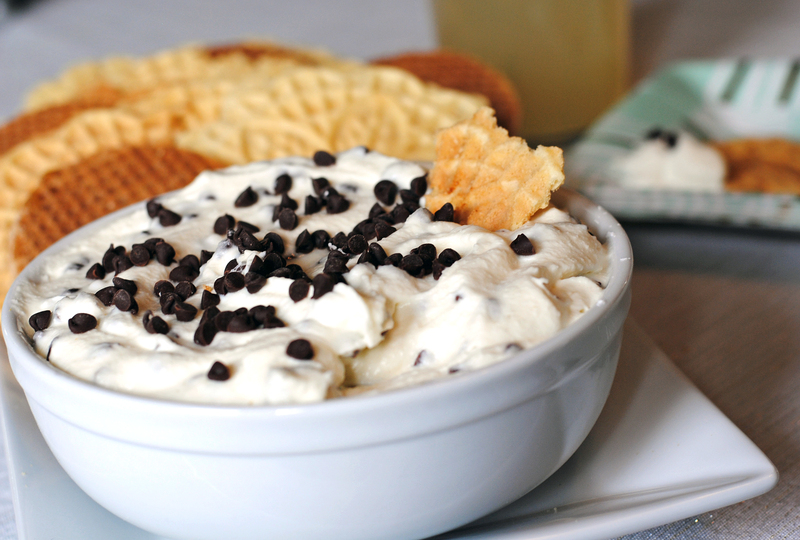 I added another dessert dip to the table in the form of a deconstructed cannoli. 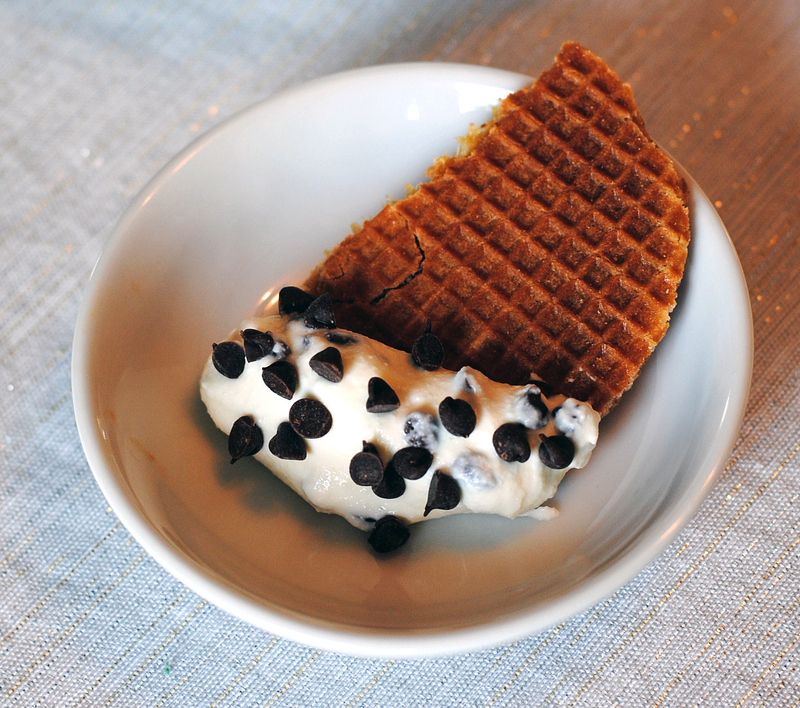 It’s a slightly more dippable version of the filling in the classic Italian dessert, and was served with a mixture of pizzelle and waffle cookies. I made this version with mini chocolate chips, but you could try crushed pistachios or other toppings to give it your own spin! Full recipe below. Strain ricotta cheese over paper towels in a bowl overnight to remove moisture. In a mixing bowl fold together ricotta and mascarpone cheese. Fold in powdered sugar. In a separate mixing bowl, whip heavy cream until peaks form. Fold whipped cream to Ricotta mixture in batches, and then fold in most of the chocolate chips, reserving some for garnish. Serve topped with remaining chocolate chips, dusted lightly with powdered sugar. 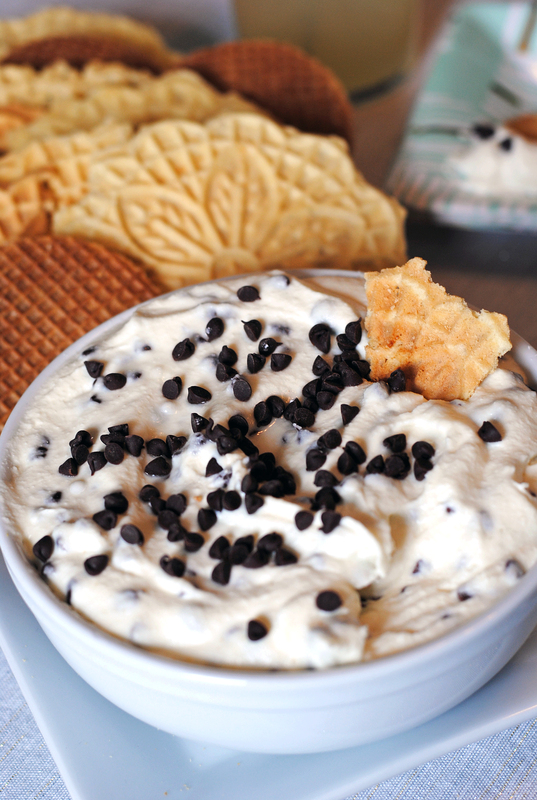 Pairs well with pizzelle cookies or graham crackers. Mexican Street Corn Dip. An Evening With Chaps.